The Reality Of Yourself has put together a hometown showcase to celebrate winning the Ernie Ball National BOTB. 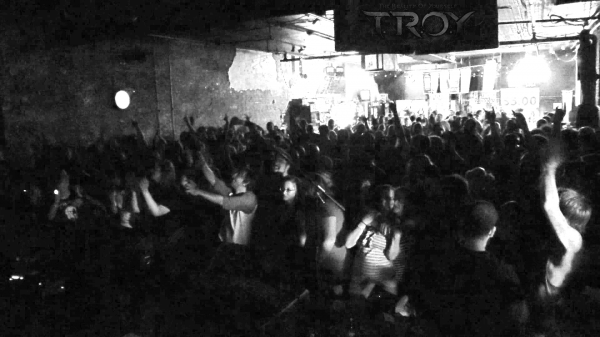 TROY has dubbed the two-date showcase the “Evolution” series for their fans. In light of all the recent events and good news, the Evolution series was created to celebrate not only where TROY has been, but where they stand today, and where they are going. As stated earlier, the Evolution showcase consists of two different live performances. 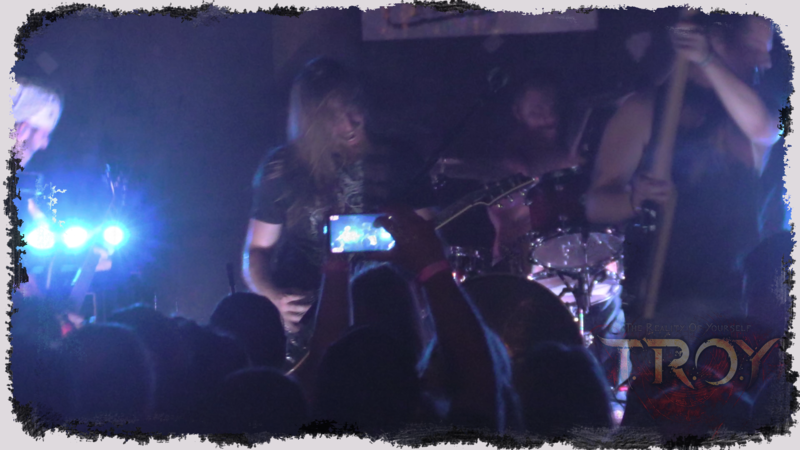 The first show was on July 10th at the Outland Ballroom and it proved to be a wild one with a packed house and temperatures’ hitting around 100 degrees inside! The crowd was hyped, and the energy in the building was through the roof – We couldn’t have felt more at home. 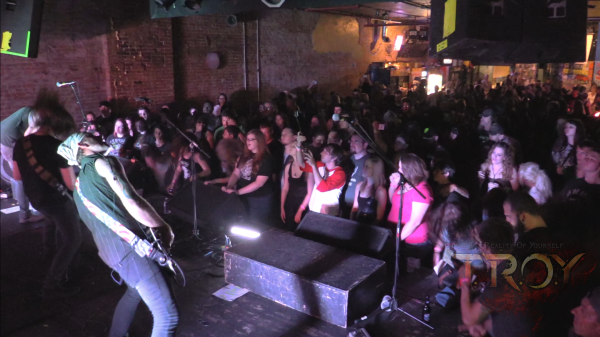 Thanks to all of our loyal fans and q102, Evolution showcase part I sold out at the Outland Ballroom. We are so grateful the all the wonderful musicians in Paralandra, Make Rocket Go, and Contusion for coming out and rocking the stage with us that night.We even heard feedback that it was our best performance to date…what did you think?? Either way it was a blast!! Check out more pics from July 10th here! The second episode of the Evolution series will take place August 8th at Cartoons and honors the humbled beginnings any band goes through in the early years. 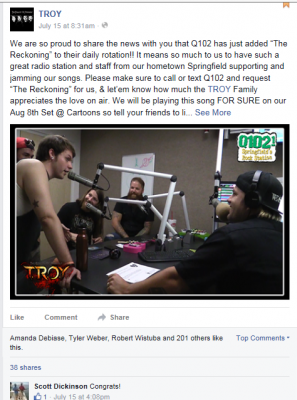 Not only is TROY rockin’ their fan- favorite songs and all the covers that inspired them into existence, but coming with them to the stage are Fishing for Saturday & Cinnamon Hills from Springfield mo. These two opening acts are composed of young local rockers from the area who already show a huge passion for the music and a drive to be on the next big stage. 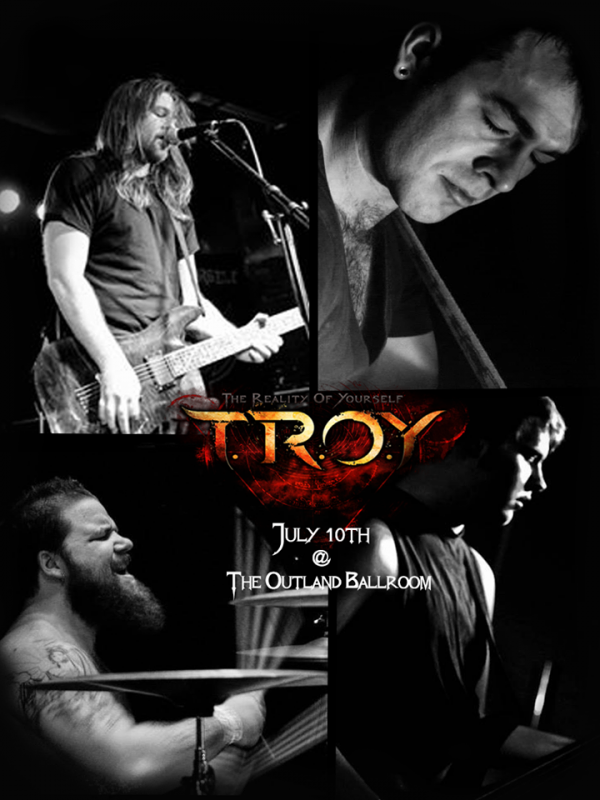 We are ecstatic to celebrate the evolution of TROY by uniting with the freshest of the rock bands in our area! There is no better way to embrace the evolution of music than to throw some light on the next generation of rockers! Tickets are available for Aug 8th at Cartoons Oyster Bar and Grill – or through us on Facebook! Join our Facebook Event here! The evolution showcase has been a blast for TROY so far, and we hope you have been enjoying the experience too. We owe a big thanks to all that came out to our Announcement Party and the first Evolution Showcase as well. It’s been a great opportunity to show thanks to all the fans who have supported us through most of our journey, and all the new faces just now joining the family.